Having enjoyed the fantastic view of some boats and a playful seal from our house we decided to visit a local seafood hotspot for dinner. The Mourne Seafood Bar in Dundrum, Co.Down, showcases a fantastic range of local produce and the menu offers something for everyone, even non seafood lovers. We opted for three courses and were delighted with the taste and quality of the food, and also the friendly and professional service. 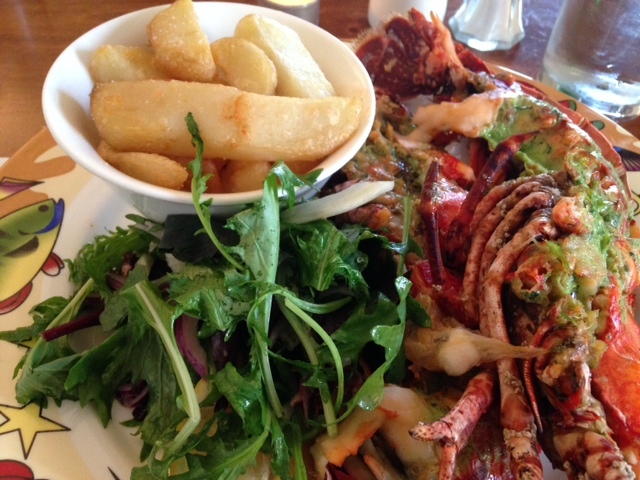 Here’s a review on our evening of dining at the Mourne Seafood Bar. 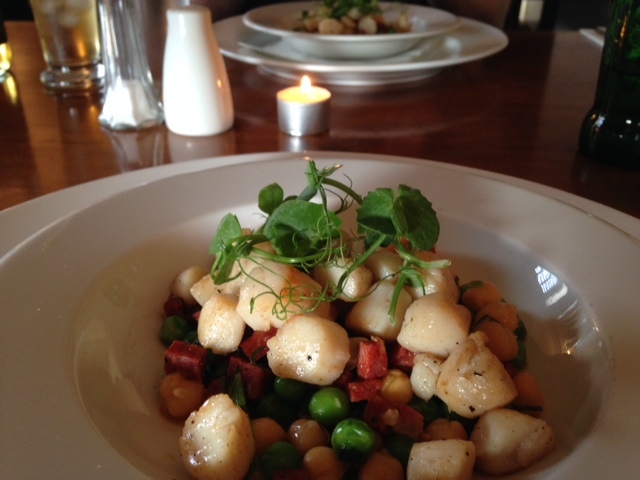 We both opted for one of the daily starter specials which tasted just as good as it sounds; Seared Scallops with a Chorizo, Chickpea and Chilli Gremolata. No complaints here, it was absolutely delicious! The scallops were sweet and juicy, the chorizo was packed with flavour, the peas were sweet, and the chickpeas added an earthiness to the dish while the chilli added a gentle heat. It was the perfect starter for a summer evening and it is definitely something that we will take inspiration from – clean plates all round. For the main course, Nial opted for another special, a Whole Lobster with Garlic and Herb Butter, Chunky Chips and Mixed Salad. Again, Nial thoroughly enjoyed this, and I sampled a little bit of it as well. The flavoured butter was light and a perfect match for the delicate lobster, and the chunky chips were delicious. We would definitely recommend it to all you seafood lovers out there! Even if you aren’t a fan of seafood, lobster is something that everyone should try at least once in their life! 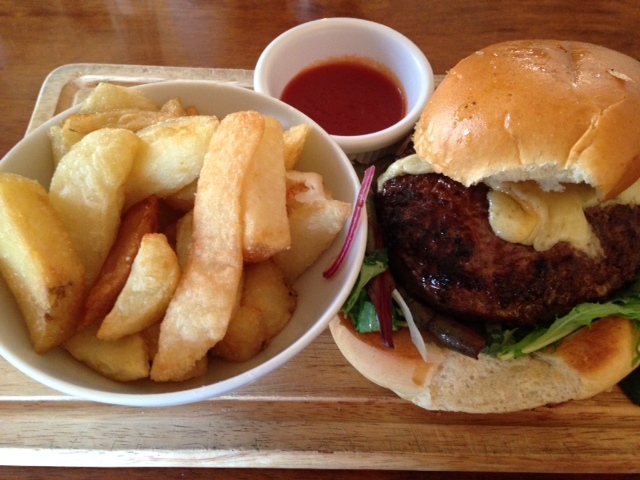 I chose the 8oz Dexter Burger with Smoked Cheese, Homemade Spicy Ketchup and Chunky Chips for my main. It was fantastic!! The burger was juicy and cooked to my own preference, the smoked cheese was delicate, the ketchup had a nice kick and the chips were very moreish. I would definitely recommend this dish, and so would Nial, who sampled the burger more than once! Each course was the perfect size so which was great as this meant we had room for something sweet. 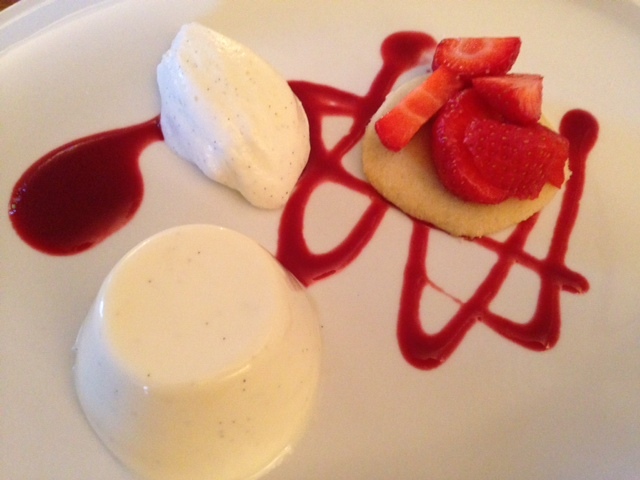 I had the Buttermilk and Vanilla Panna Cotta with Strawberries, Shortbread and Vanilla Cream. This was really light and a great way to finish the meal. There was a lovely tangy edge to the panna cotta, which was balanced by the sweet cream and the fresh, sliced strawberries and strawberry coulis. The shortbread was a fantastic addition and added a lovely buttery crunch. 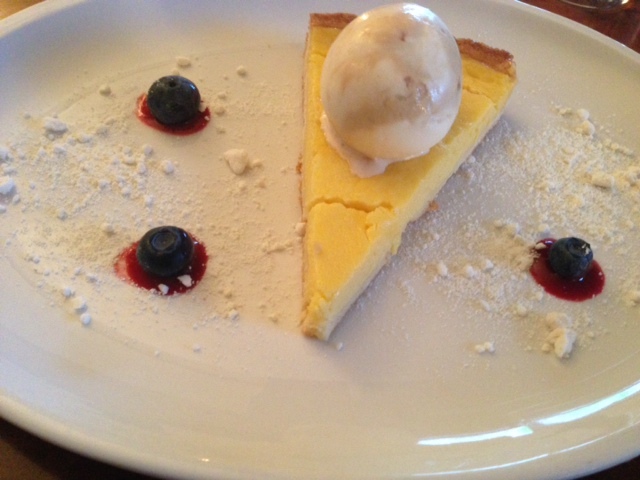 Nial had the Lemon Tart with Salted Caramel Ice Cream, and it was exceptional. The pastry was perfect, the lemon filling was zesty, and the salted caramel ice cream was delicious. It was a fantastic summery dessert and we will definitely be trying to recreate it at some stage for the blog so stay tuned. Overall, we would wholeheartedly recommend the Mourne Seafood Bar for a bite to eat. It won’t be long until we go back as we were so impressed. They also have popular premises located in both Belfast and Dublin, highlighting their continuing success. You can view the Mourne Seafood Bar Dundrum menu here. 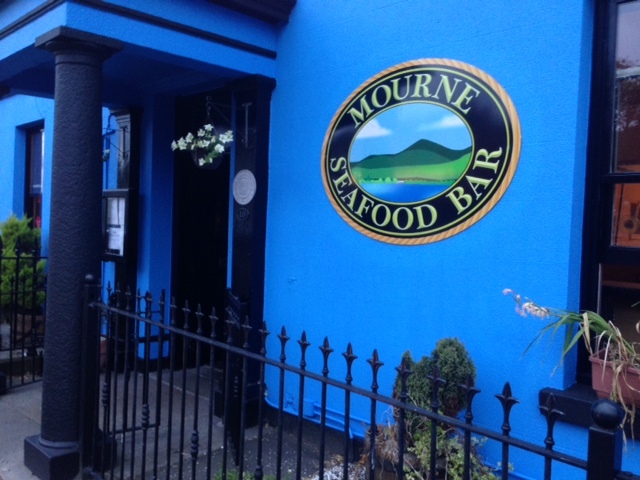 Have you ever been to the Mourne Seafood Bar? Share your experience with us by commenting below or connecting with us on Facebook and Twitter.